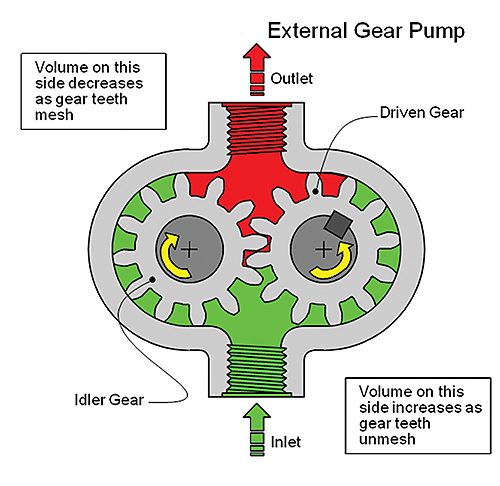 A water pump is one of those items that are uncommonly used, but invaluable when needed. Rarer still are cordless versions that can be deployed at speed. Enter [DIY King 00], who has shared his build of a cordless water pump! The pump uses an 18 volt brushed motor and is powered by an AEG 18V LiPo battery. That’s the same battery as the rest of [DIY King]’s power tools, making it convenient to use. UPVC pipe was used for the impeller — with a pipe end cap for a housing. A window of plexiglass to view the pump in motion adds a nice touch. A bit of woodworking resulted in the mount for the pump and battery pack, while a notch on the underside allows the battery to lock into place. Some simple alligator clips on the battery contacts and the motor connected through a switch are all one needs to get this thing running. Unfortunately, the motor is seen smoking a bit at the end of the video, the result of a slightly oversized impeller causing the motor to draw too much current. Still — for a short while at least — this thing can spit 10L of water per minute up to 10 feet away! Not too shabby! This pump would certainly come in handy for any water-related emergencies, but if you want to nip that problem in the bud before it gets out of hand, check out how you can rig up your home’s sump pump to alert you of any impending crises. any solutions to current issue? I have been wanting to build a portable generator/pump set for years. Unfortunately battery is not enough water moved before any portabe or even luggable battery dies not to mention price/lifetime and mains outage on a cloudy or stormy day(no solar) is why I want this anyways. I have yet to find a small enough cheap enough 4-stroke motor easy to convert to propane. How much water are you trying to move? Lots of submersible well pumps can easily move ~100 gallons / 400L @ <4 gpm / 15 lpm off a car battery. Granted they're not cheap (couple hundred bucks) but they deal well w/ sandy water nicely. And what's wrong w/ a gasoline or even glo motor? Ok, diesel would be super cool even if it interferes with safe-ish indoor use, in fact for generator I much prefer burning diesel/kerosene/jet fuel. I just really want to avoid gasoline if possible. I have not seen a 50cc area motor that meets the lightweight 4stroke and strong enough categories. I would love to see a whole thread here @HAD on small non-gasoline ICEs (motors). Mind you there seems to be a UK and a US gallon, which differ quite a bit. 1: no way to seal the motor from the water. 2: way too much load on the motor as shown by the smoke coming out of it. 3: the impeller should be half the thickness to help keep the speed up. And the curve of the impeller is too steep and backwards and it still worked but the loading issues (smoke) would have a lot to do with the poor efficiency of the reversed impeller. 4: battery will catch fire or die otherwise as there’s no undervoltage protection. actually I thought the video was prety good, smoke at the end was a bit of a worry and the fact that the water is going to get in to the motor but since he used the drill for doner parts just rip the speed controller out and use that to deal with the overloading and current issue. I’d use a hydraulic ram, if there was no electricity, potential energy within the water source and I only needed a small percentage of the water raised to a higher elevation. okay, despite the overheating motor and that there is no additional barrier between the water and the motor (the motors own bearings are keeping the water away from the motor itself, so rust will occur… soon. Also the small amount of energy in the battery (you can’t let it running for a long time) so what’s the value of this build. Small amount of water can also be moved using towels and buckets. Nope despite it’s problems I love this little pump, mostly because of the way it is build which should be an inspiration to us all. Using humble materials, enthusiasm and some craftsmanship. A job well done. The impeller blades made out of PCB tubing, brilliant. The exposed motor bearing is not an issue if the inlet is facing downwards. When the motor is running the water pressure will be lower at the bearing meaning that it’s more likely for air to flow into the chamber rather than water flow into the motor. If the inlet is downwards the gravity will provide the same negative pressure when the motor is not running. The screws are a different issue. Capillary action will see water travel along the threads. A for effort. With some tweaks, it will likely be more reliable. Wouldn’t it be easier to just wire a bilge pump to a battery? After watching this video I’m most astounded by the observation that not only does the guy still have both hands AND all his fingers, but he doesn’t even have a band-aid on them. My advise is for him to purchase a lottery ticket, then with the millions he wins buy a proper pump. I also like how he seemingly is able to glue PVC to PP without any issue, the whole thing must have been taped in another dimension separate from the one I’m in. Homedepot has a $10 pump you can attach to your cordless drill. I use it sometimes for small projects like replacing toilet. I’ve seen the same for $3.-, but i think this video is more a general thing about how such a thing is constructed and how if you wanted you could make something like that yourself. As opposed to an advisory to imitate this project I mean. In an emergency and if you have AC power, a wet-dry vacuum can work quite well. And when you don’t have flooding, it has other uses. I picked up a Shoreline 1500GPH unit from Walmart for $10 once. In a pinch, you could hook up a 12-14V drill from cordless power tool to power a 12V bilge pump. Love this idea. As a fisherman, I can see many applications to this. What about emptying a rental boat that has a few inches of water in it? This would be great! A homemade livewell could also be emptied with it. The smoke has me concerned. Other than that, with some mods I think something useful can be made. You could probably buy something to do the job but what fun is it if you don’t make it yourself?